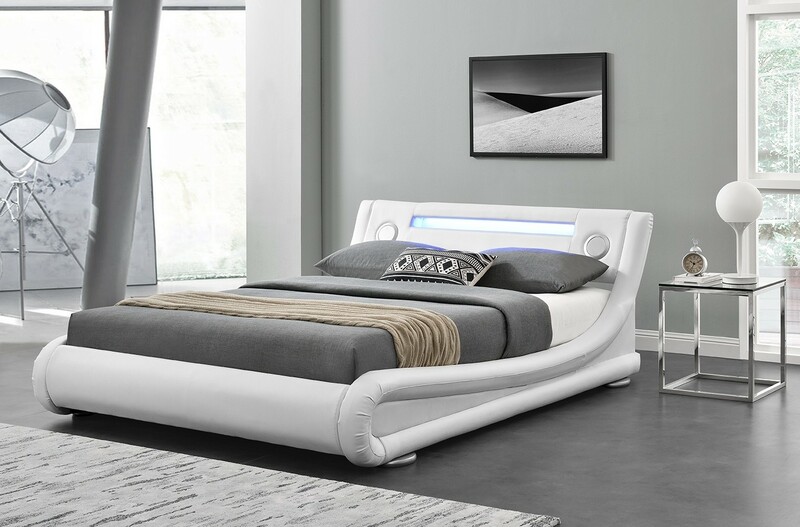 Create the ultimate statement in your bedroom with this ultra stylish and modern faux leather curved bed frame. 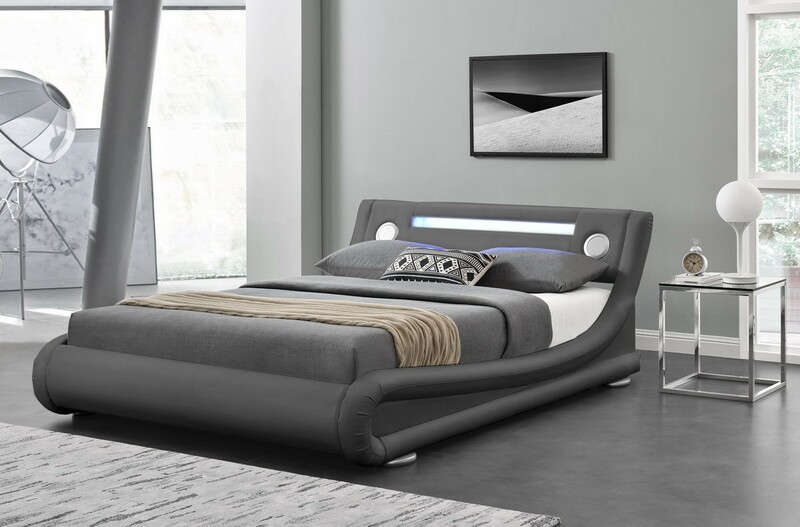 Features include built in Bluetooth speakers allowing you to connect your Bluetooth enabled device and wirelessly play music. 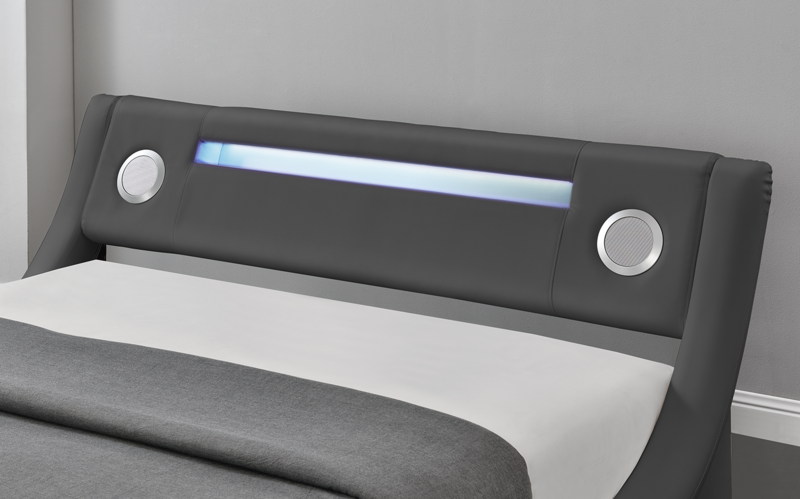 Also light up the room with the unique built in remote controlled light strip which displays 15 different colours. 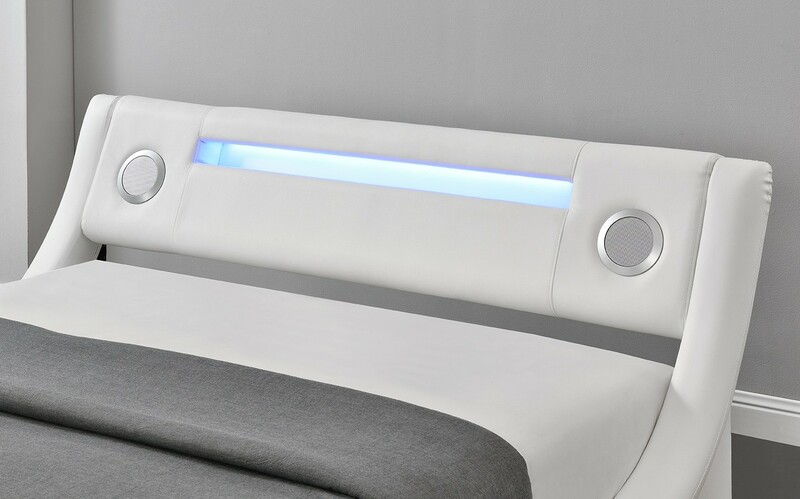 The handy USB port allows you to charge your devices whilst you sleep! Also features an Auxiliary port, simply connect with an Aux lead (not included). 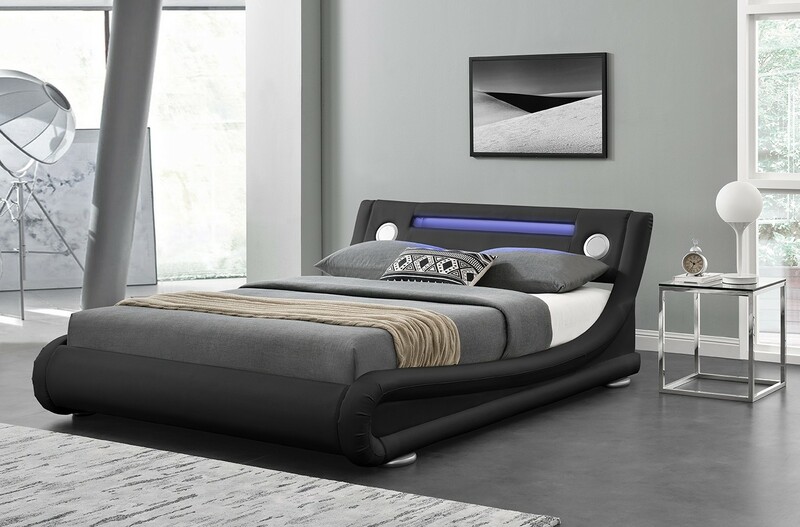 The bed is manufactured in durable faux leather in 2 stiking colours (black or white). Our standard UK delivery is included which is based on a next working day service after dispatch (excluding Scotland and Ireland – surcharges apply see below). England, Wales, Scotland excluding, Highlands & Islands. The zone is made up of all postcodes not mentioned in Northern Ireland, Scottish Highlands and Offshore Islands. .